What's Easter all about? Is it just bunnies and chocolate eggs, and does it really have anything to do with the church or Jesus? This book is packed with jokes, facts, cartoons and questions. 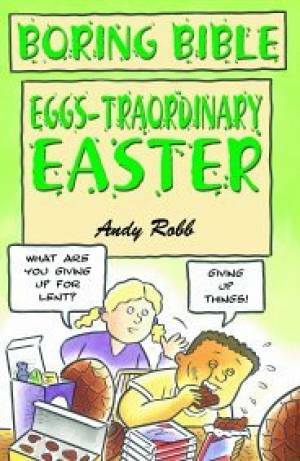 Eggs-traordinary Easter by Andy Robb was published by John Hunt Publishing in January 2006 and is our 342nd best seller. The ISBN for Eggs-traordinary Easter is 9781842981672. Be the first to review Eggs-traordinary Easter! Got a question? No problem! Just click here to ask us about Eggs-traordinary Easter.